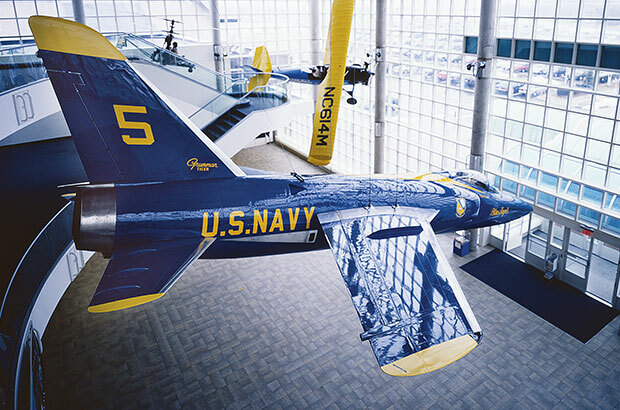 Over 75 air and space craft, a dozen cockpits and 30 hands-on exhibits await you in the Donald Everett Axinn Air & Space Museum Hall. Explore over 150,000 square feet featuring 75 air and spacecraft from a hot air balloon to an actual Apollo Lunar Module and learn about Long Island's role and why we are called the Cradle of Aviation. Our eight exhibit galleries are in chronological order and throughout the museum our volunteer docents are there to share their aerospace experience. 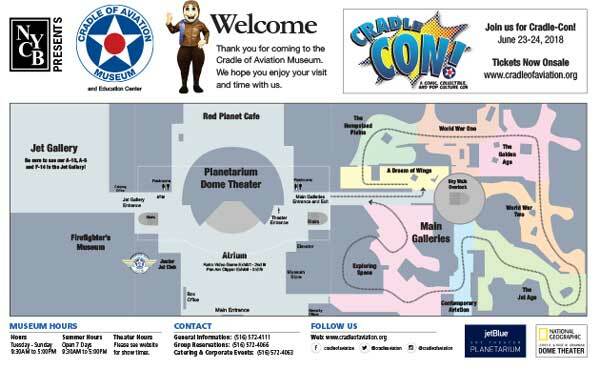 There are over 30 hands-on exhibits, a half dozen cockpits to climb into and many short films through-out the exhibits. 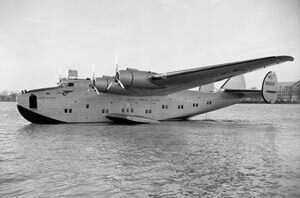 The Boeing 314: An Extraordinary Story, a new exhibit showcasing the legendary B-314 Flying Boats. 3rd floor Atrium, free with museum admission. Our latest exhibit, Space: A Journey to Our Future, combined with our space gallery featuring the Lunar Module and extensive Apollo artifact collection, is all part of our Countdown to Apollo at 50 multi-year celebration! Enhance your visit with an Aerospace Quest! Download and print Aerospace Quests - Adobe Acrobat required (PDF).